February 2010 - MMASFY.. mmassive. Micro Four Thirds - Mini Filmmaker Camera System of the Future? Micro Four Thirds is a really interesting technology that could already be moving into the future of film-making. With this overview of a coming (possible fail) wave of 3D competing for attention in the sphere focus for bleeding-edge, early-adopter, I think micro four thirds deserves a lion’s share of consideration before you spring for that new camera system. 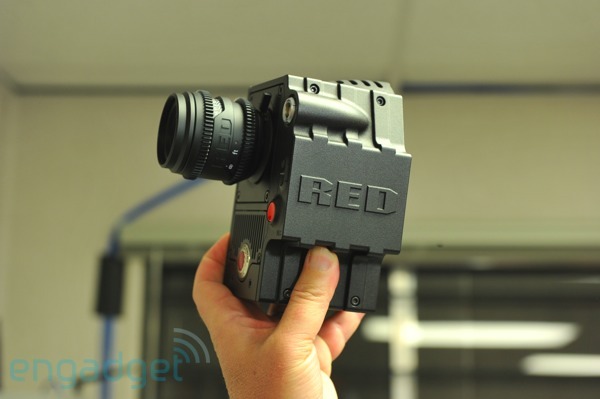 The “other consideration” will always be, of course, the RED Scarlet system due this year (2010) sometime. But that’s not a “pocket solution.” Even when the Scarlet is on the scene, we may still want to have a (much) more portable solution for our pockets that gives us beautiful Bokeh and reliable HD video capture. Thanks to four-thirds.org and dpreview.com for inspiring this article! Could it be that, during this “RED Day” at the new RED Studios in Hollywood by the Digital Cinema Society? See nifty new link in our newly updated Tools section.